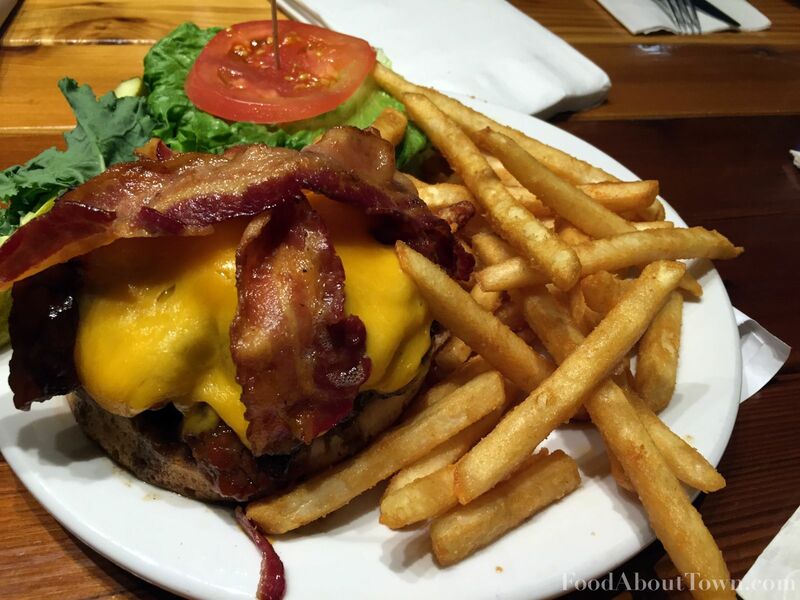 This is a repost of my City Newspaper review of Fireside Grill and Sports Bar in Henrietta. I’m really glad my work associate recommended this place to try out. Now he might have been slightly biased since it is his local hangout bar/restaurant but thankfully his opinion was justified. Fireside was fun to visit and the ambition here makes it well worth revisiting especially if you want to catch a game at a non-chain establishment. Now that my curling season is over I’m catching up on some back posts from the paper and getting ramped up to get more original content on here as well. Back to work on the passion project now that my winter hobby is down! As always, the link to the original City Paper review is below with their photography. My pictures from the actual meals are interspersed with the text from the review. Enjoy! I heard about Fireside Grill and Sports Bar when one of my day-job colleagues mentioned that it was his go-to local spot for sports bar fare — with a bit of a twist. What got me to make the drive to Henrietta was his description of Chef Martin Paxton’s passion and how he strived to make the best of the sports bar-style menu. And it didn’t hurt that a gas fireplace in the middle of the front dining room welcomed us from the cold winter night and got us ready to chow down. Fireside has done an admirable job remodeling the interior of this formerly old-school local joint to make it welcoming and generically modern, both in the dining areas and the separated bar — I enjoyed the wooden table tops especially on the larger communal tables. Staying true to its name, plenty of modern TVs adorn the walls to let you enjoy whatever games are on at the time. After my dining partners and I got comfortable, we dove into the menu to try and find those items that really captured the passions that got me in the door. Both the Chicago Roast Beef ($10) and Reuben ($10) sandwiches featured house-made ingredients that got me excited right off the bat. The giardiniera brought needed crunch and brightness with a touch of spice to Fireside’s take on the Italian beef sandwich. The roast beef was cooked in house and the bread stood up well to the juices. 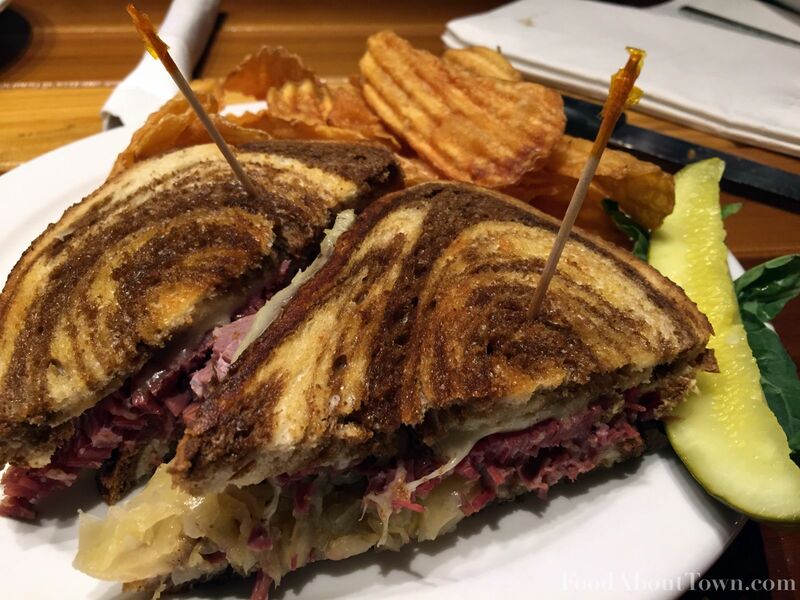 The corned beef was also cured and cooked at the restaurant which is critical to any good Reuben. There was real grain to the meat, a subtle cure and a bit of chew that just suited the sandwich. The house-made ruffled chips came out crunchy and dark gold, and the French fries were tasty (despite the fact they were originally frozen). 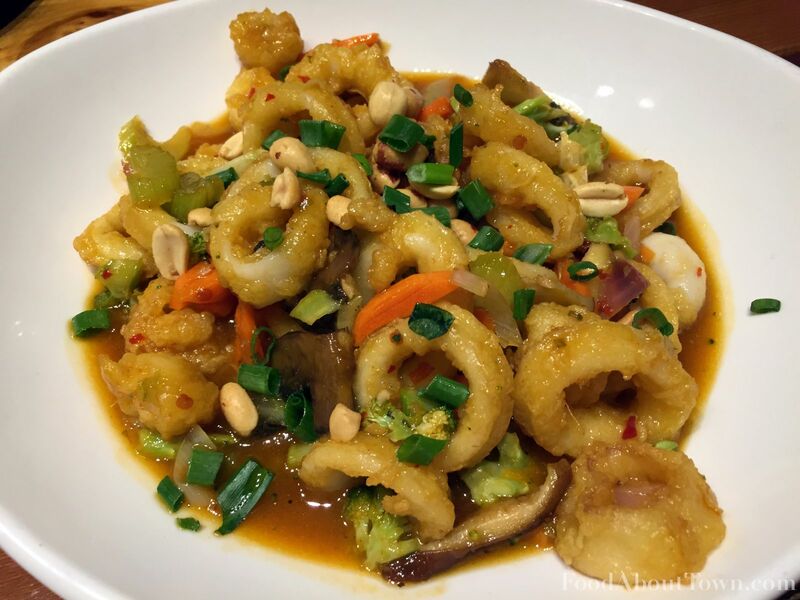 Another winner in my books was the Kung Pao Calamari appetizer ($12), although it did suffer from a couple technical flaws. The Kung Pao sauce struck that hard to find balance between sweet, salty, and spicy and complemented the lightly cooked veggies and crunchy peanuts well. But the fried calamari rings were inconsistently cooked and the breading was soggy before it got to our table. Still, that sauce is a must try and is available on bar staples like chicken fingers and wings as well. On the burger side of things, Fireside’s BBQ Brisket Burger ($12) was a major flavor bomb. I liked that the restaurant used brisket and sirloin in its blend which created a beefy patty that could stand up to the smoked brisket, bacon, cheddar, and BBQ sauce. Those four strong toppings carried this smoky burger to a mouthwatering place. The pizza di funghi ($10 for a 9-inch small; $19 for a 16-inch large) hit a few notes I really liked. 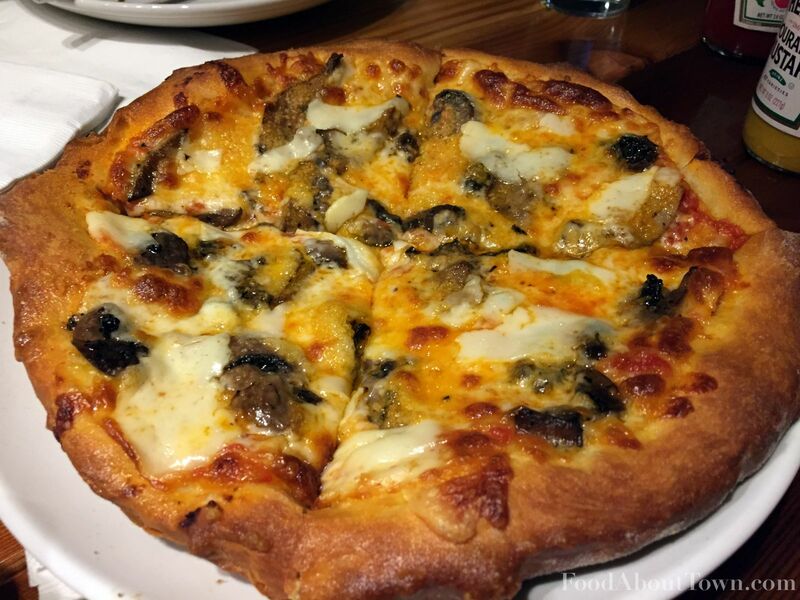 The portobello slices were the most impactful mushroom on the pizza and brought that beautiful earthiness. The tomato sauce was bright and the crust was crisped nicely. The pie could have used some more salt, but the intense flavors made this quite successful. The only real fail of our meals was the broiled haddock ($12), which we ordered in lieu of the Friday fish fry hoping to see what they did with the healthier fare. 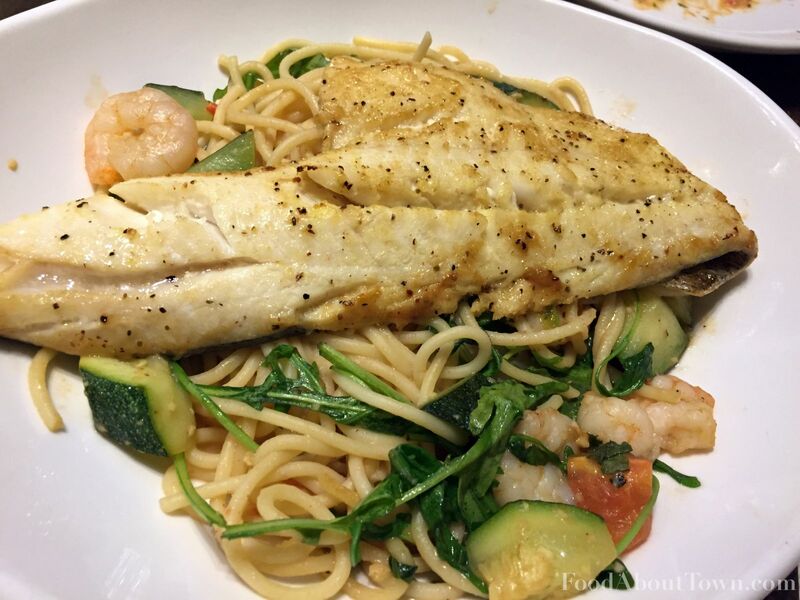 Unfortunately, the fish was overcooked and suffered from excessive lemon-pepper which overpowered the dish. The supporting spaghetti with shrimp, arugula, and zucchini lacked cohesiveness or any particularly interesting flavors and was underwhelming. I know it’s more difficult to make healthy dishes while still staying in the sports bar line, but some flavor development would have been great to see here.The New England Clam Chowder ($3 for a cup) was seasoned well and had some good depth of flavor, but was over thickened and ended up on the gloppy side. Both the clams and the potatoes were cooked properly which was great to see since they have to be added at different times to make that work. I thought the idea behind the crab cakes ($14) — with a creamy tomato, mushroom, and shrimp sauce — was smart, but the cakes were on the mushy side and the sauce needed some salt, spice, and acid. A New Orleans-inspired sauce should have been dynamic and exciting, instead it was overly heavy, drab, and it dragged down the dish. 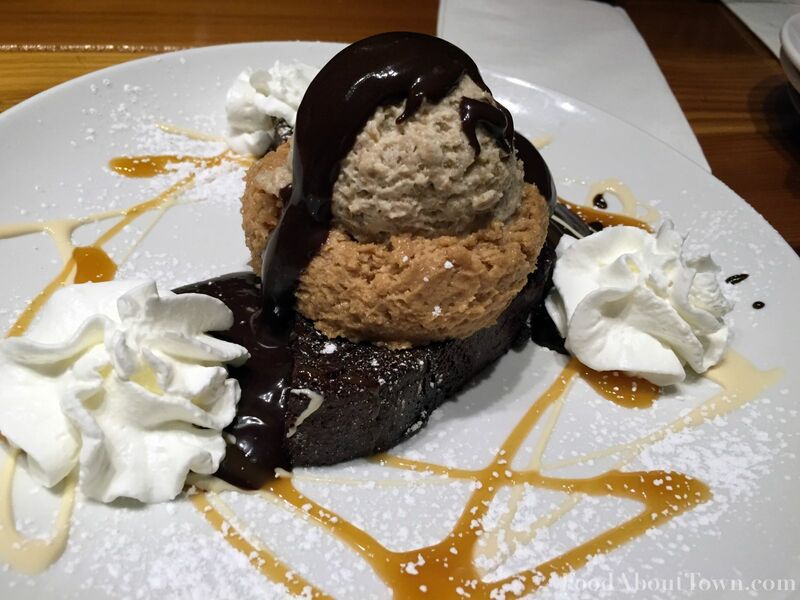 We did get the chance to try one of Fireside’s newer desserts which doesn’t have a name currently ($6) but, if you enjoy it as much as we did, you can try to create a permanent name for it on the menu. Banana and peanut butter mousses were served on top of a rich chocolate pound cake along with whipped cream and a pair of sauces. This dish was a hit and was demolished in record time by my wife and work friend. Despite some of the technical critiques, Fireside is the kind of restaurant I can stand behind. Chef Paxton’s passion for food is evident and he regularly tests this skills with numerous homemade specials and some appetizing twists on the standard sports bar fare. I thought his takes on sandwiches were spot on and he really brought the flavor with that Kung Pao sauce. Those aspects successfully set this small-town bar apart from the prevalent Henrietta chain restaurants and made me want to make this a place I come back to for a game and some comforting food.